Barely a couple of stops on the Metro from Citadines “Kudamm” is a 17th century palace tucked away in a city filled with reminders of holocaust, World War 2 and Cold War. It is the only palace that stands today in Berlin and is a reminder of the glorious past of the kings who ruled this land. I walked along the River Spree, where silence greeted me as I entered this palace. 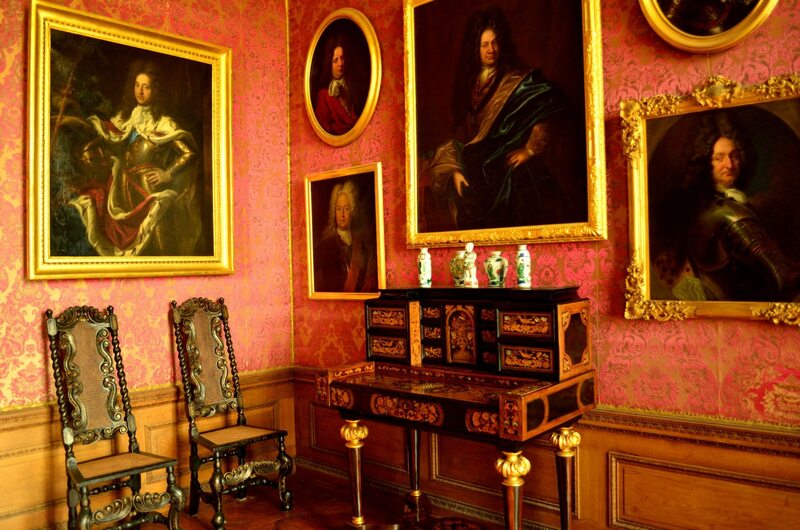 Built in the 17th century the palace was commissioned by Sophie Charlotte, wife of Frederic 111 in a village then called Lietzow. It was called Lietzenburg palace then. 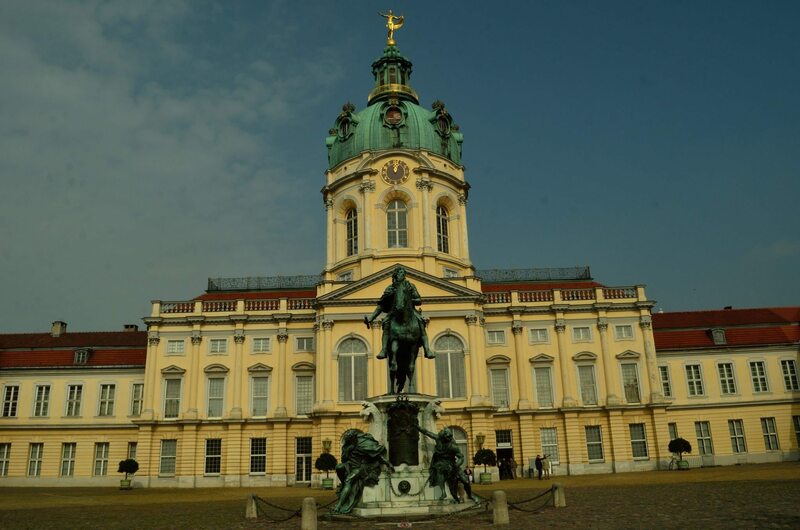 The soldier prince, Frederich, son of Sophie who crowned himself as king of Prussia named the palace after his mother. 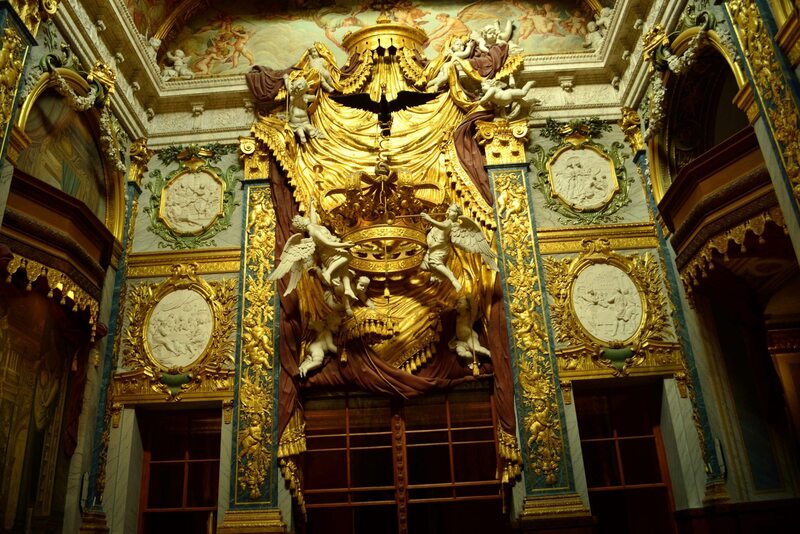 The palace which was built in a baroque style has some rich interiors which have been restored after the World War 2..Spend some time here admiring the gardens and sit for a few moments in the ornate chapel. Every room, be it the bedrooms of the royalty or the audience chambers is an ode to opulence. 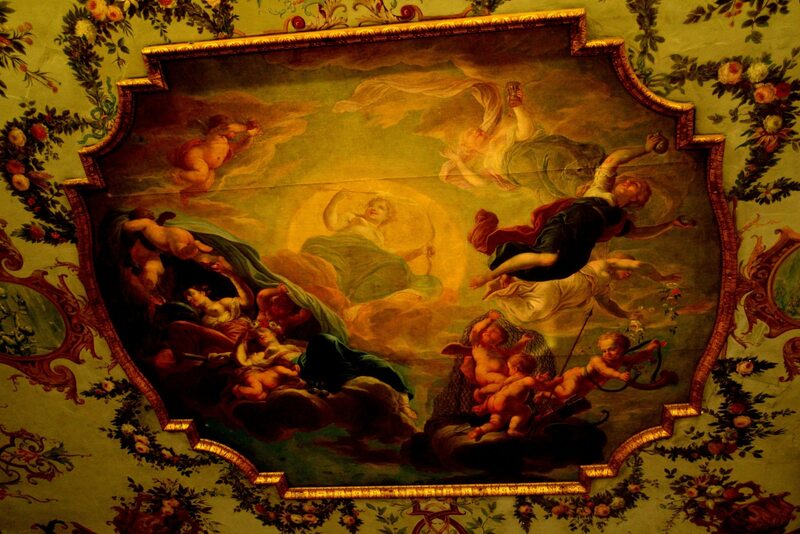 You wonder whether to look at the ceiling, the mirrors, the paintings or the portraits. In a country ravaged by wars, where every monument reminds you of devastation, its a breather to see fantastic paintings and lose yourself in a world of Venus and Apollo and the Roman Gods. Travelling has some great moments and most often, it is about people you meet. Just as I entered the palace, an old couple greeted me and gave me a pass. I was puzzled. They had just come back from the tour. “This is for the camera. They charge extra euros for photography. You dont buy the pass..here, take it from us. We just paid and we think we can help someone as well. ” I thanked them profusely although I had a press pass that gave me access. however it was their gesture that touched me. 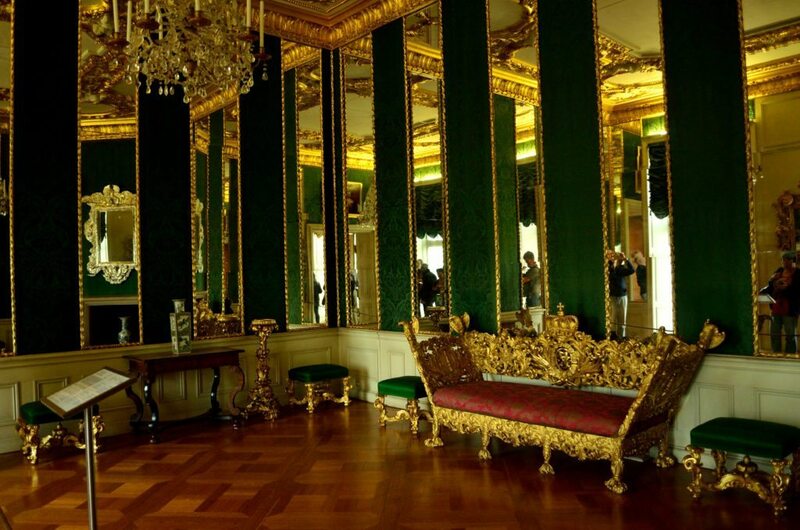 I strongly recommend that you add this visit to the palace in your itinerary..Just a walk around Chalottenburg, the palace, the gardens will take you into a different world altogether. Seven reasons to visit Berlin again..